Direct mail campaigns are always exercises in beating the odds, of working hard to increase the opening of envelopes and response rates. And cutting through the intense chatter of fundraising and political advocacy is even more of a daunting task when there are so many overtures for money and support. For Delta Group, however, direct mail marketing on behalf of nonprofit organizations is proving to be particularly compelling when using the latest in smart printing technology. For the past 25 years, The Delta Group has been using direct mail to help nonprofit organizations communicate with supporters, advance their missions and influence policy. But it’s never easy. Physical mailboxes can be overwhelmed with appeals for donations and support, in addition to a myriad of other marketing messages. Moreover, powerful political action committees and their multimillion-dollar efforts can drown out the voices of smaller nonprofits, who operate with scanty funds and fewer supporters. In the face of this daunting obstacle, Delta Group, based outside Washington, D.C., has taken on a two-fold task: Using direct mail marketing to reach out to likely donors on behalf of its nonprofit association clients, while at the same time, representing those clients’ activist bases to help modify opinions on Capitol Hill. These are critical needs for Delta Group clients like The Seniors Coalition, the U.S Veterans Hospice Committee and other organizations who hope to see their agendas gain more prominent political recognition and assistance. In response, Delta Group has carefully used donor demographics, receptivity inclinations based on research and innovations in technology to sharpen its messages and increase the numbers of supporters for client causes. And the more donors and members an association has, the better it can convince politicians to listen to its cause. While the number of mailed pieces has declined over the past several years as electronic communications gained more prominence, direct mail marketing shows no signs of being any less robust than it has been. According to the United States Postal Service’s (USPS’s) 2017 Postal Facts, the total amount of direct mail pieces processed by the USPS in 2007 amounted to 48.7 percent of overall Postal Service volume. By 2016, by contrast, direct mail pieces processed by the USPS grew to a robust 52.4 percent of total volume, indicating that, as omnichannel marketing becomes more prevalent, the use of direct mail as one of those channels commands significant loyalty among marketers. Further, it’s instructive to see how direct mail is faring against other communications channels. 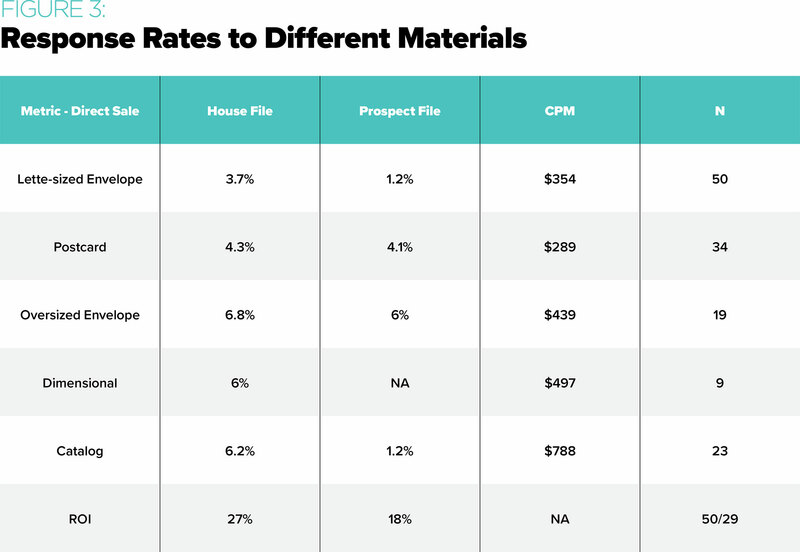 In a recent study that tracked spending on direct mail versus other categories—such as digital display, email, social media, search and Web content—direct mail not only held its own in absolute marketing dollars spent, but actually increased. 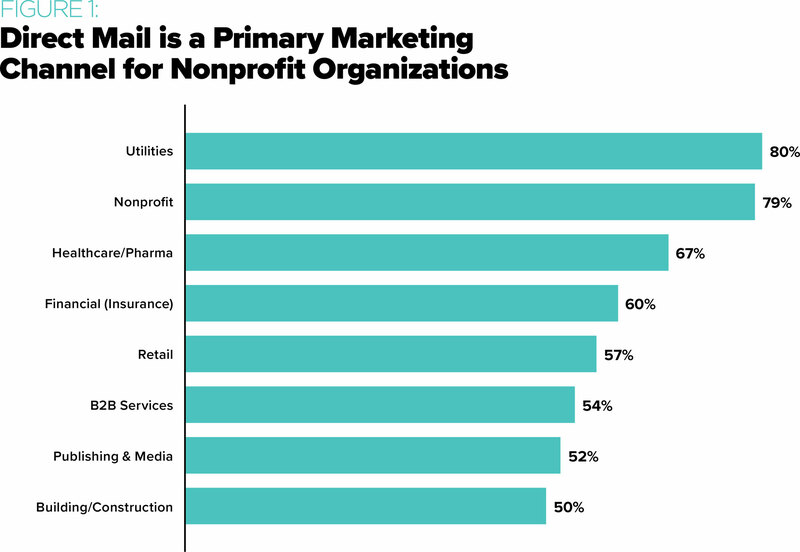 Further, direct mail has always been a mainstay of nonprofit organization marketing. In short, direct mail is not going away, nor should it. The demographics of cause-driven fundraising support the Delta Group’s faith in the channel. 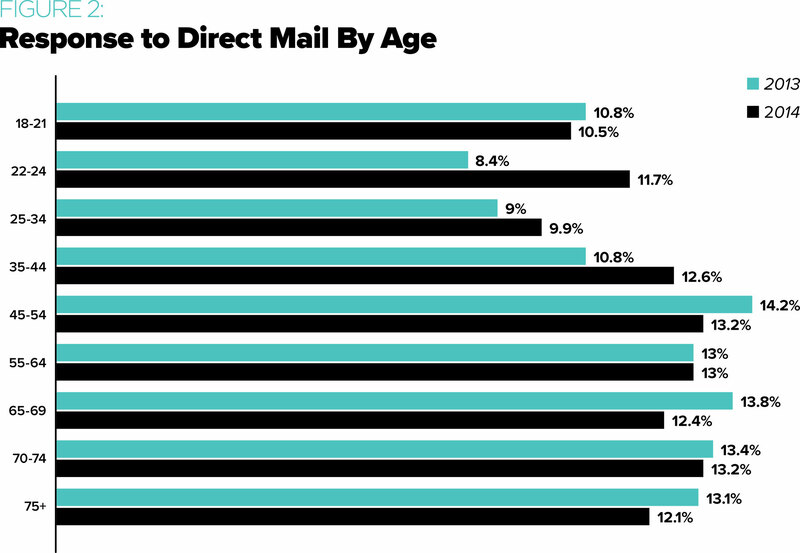 Not only has research shown that older people tend to open direct mail more often than younger people, but also that, once they open an envelope, older people are much more likely to contribute to politically driven causes. LeBlanc will “never say never” to other forms of outreach. As the technology improves for the fundraising industry, he notes that Delta Group may eventually venture back and test different means of communication on the acquisition side. “But for now, we’re comfortable using just direct mail,” he says. Nevertheless, the “noise” of constant message bombardments from competing marketing and fund-raising overtures has always been difficult to cut through. For nonprofits in particular, petitions, fund-raising appeals and questionnaires compete with everything else in recipients’ physical mailboxes, as well as with numerous other charitable and political action appeals. The challenge for Delta Group has been to cut through the noise to achieve stronger response rates. It translates into proof of advocacy. Fundraising is important, but perhaps more important for Delta Group is being able to vividly demonstrate to law and policy makers that a significantly large constituency supports a particular group’s positions. If Delta Group’s direct mail campaigns are successful—that is, if they create a strong response in the affirmative—Delta Group’s team of communications specialists will convey those sentiments to lawmakers. For one of its recent clients, that has proved to be more difficult. The U.S. Border Security Council works to raise awareness of immigration and domestic terrorism issues. While the issue had been on the back burner prior to the 2016 election, and the Council then was one of the few with constituents listening to its messages, immigration and terrorism have come to the fore dramatically since then as one of the nation’s highest priorities. That means the “noise” has also increased substantially, and the Council’s views are now being championed by many larger and more prominent voices. Had times changed so much that the issues of illegal immigration and domestic terrorism were now in other people’s hands—bigger players who now could control the discussion? Or did the Council continue to have a role in the debate and in moving its position forward? Since the U.S. Border Security Council strives to build affinities with its donors, it often interacts with them by phone. Thus, Delta Group wanted to leverage this business model of personal communications and engagement more aggressively, but this time through direct mail as well. It decided to test variable printing technology, and gauge the success of increased personalization that digital imaging provides, to see if its client’s profile and support could be increased. Getting more personal can also mean spending more money on new technologies. Delta Group wanted to conduct tests first, to see if a personalized marketing approach would increase responses. It wasn’t opposed to spending more if its mailings could be more successful, and it suspected that its previous campaigns could be improved on. Traditionally, Delta Group had used preprinted No. 10 envelopes with enclosed information consisting of dense black-and-white text to make the case for support and donations. While the messages were compelling, the enclosures and envelopes offered no personalization directed at the recipient, nor was there any attempt to create a graphically compelling piece, using color and white space and other elements to engagingly support the text. LeBlanc felt a more personalized and engaging approach might do better. Working with Valtim’s design team, Delta Group decided to test the effectiveness of variable inkjet printing in personalizing both the envelope and interior message of its next mailing on behalf of the U.S. Border Security Council. The campaign addressed the debate surrounding statehood for Puerto Rico, but previous mailings offered little in the way of engagement. Its message was invariably addressed to “Dear Friend.” The only color was black. Could a different approach produce a more compelling response? Both Delta Group and Valtim decided to set up a classic A/B test to gauge the effectiveness of a direct mailer created through variable printing. The previous mailer served as the control. The first step in the new Delta Group-Valtim partnership involved designing a new envelope to prompt the campaign’s primary goal of inspiring recipients to actually open the carrier and read the contents. Delta and Valtim opted for a larger-format envelope, which research has indicated compels greater interest by the recipient. Color was added as well to both the exterior mailing and return address, and a personalized message was printed on the outside of the envelope in colored script, urging the recipient to open the envelope to learn how “5 minutes worth of your time could stop BILLIONS in welfare payments.” Finally, a four-color image of the recipient’s state was printed on the outside of the envelope to provide a sense of how the issue impacts the recipient personally. Here, the outsized envelope came in handy—there was even room to urge opening it, to learn how a pending House of Representatives bill would impact the recipient’s state specifically. Next, they turned their attention to the contents. From a standard “Dear Friend” letter, a new message was crafted with personalization throughout, not just in the salutation. There was plenty of color, yellow highlighting and bold fonts to stress particular message points. The bulky call-to-action petition form was reduced in size, drenched in color and personalized again with the recipient’s name cited multiple times throughout to stress the relevance of particular issues. Local concerns once again were stressed; the mailing noted that the campaign was personally significant to the recipient because (for example) “You’re in Virginia,” and even contained a petition the recipient could mail to his or her own U.S. representative. All of this customization, specific to the recipient, was possible with variable printing. Delta Group mailed 50,000 packages in April 2017, with 10,000 receiving the newly designed package and another 10,000 the previous mailing which served as the control, for a one-to-one test. The final 30,000 mailings consisted of the control package. Subsequent mailings were made in July and November to verify initial findings. The results were more than encouraging. For the first direct mailing of 10,000 test pieces to a prospecting list, the improved package developed by variable printing processes achieved a 2.4 percent response rate compared with the control’s response rate of 1.7 percent—that’s a 41.0 percent improvement. (The additional 30,000 mailings with the control package scored a meager 1.6 percent response.) Moreover, the 2.4 percent response rate—comparable to an additional 1,000 donors on behalf of the U.S. Border Security Council—beat the then-1.2 percent industry average for prospect mailing. Delta Group and Valtim feel the initial tests were conducted optimally. They tested a new format against a control in an organized way. And when the results came in, they increased the volume of direct mailings in subsequent mail drops to see if there were any outside factors, political or otherwise, that may have artificially boosted that the initial April 2017 mailing’s performance. There weren’t. The results were strong in every subsequent mailing.